It's no surprise that my bleached hair is so damaged after all the chemicals I've put it through. Normal drugstore shampoos just don't really help anymore. 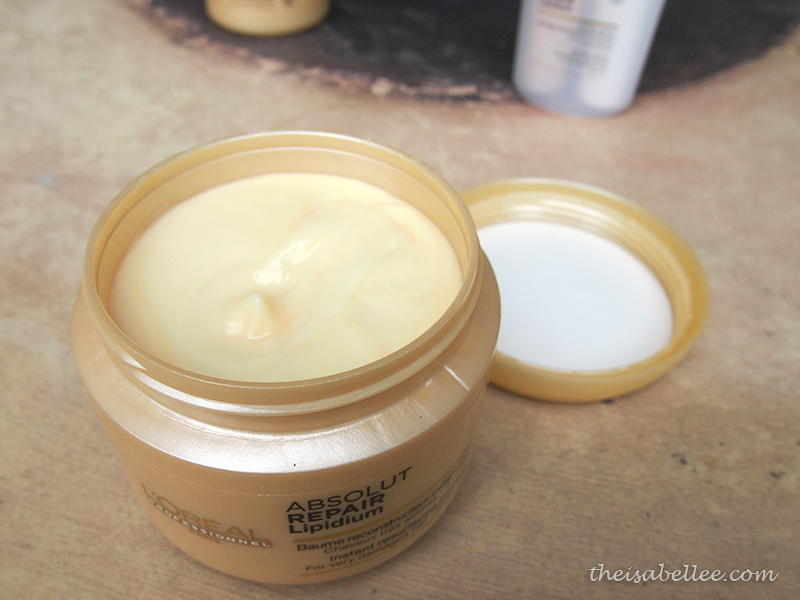 So I was glad to try out the L'Oreal Absolut Repair Lipidium range for very damaged hair. It looks so darn luxurious in its gold coloured packaging please. Shampoo - Does not lather as much as I would have liked but it does leave my hair feeling soft. 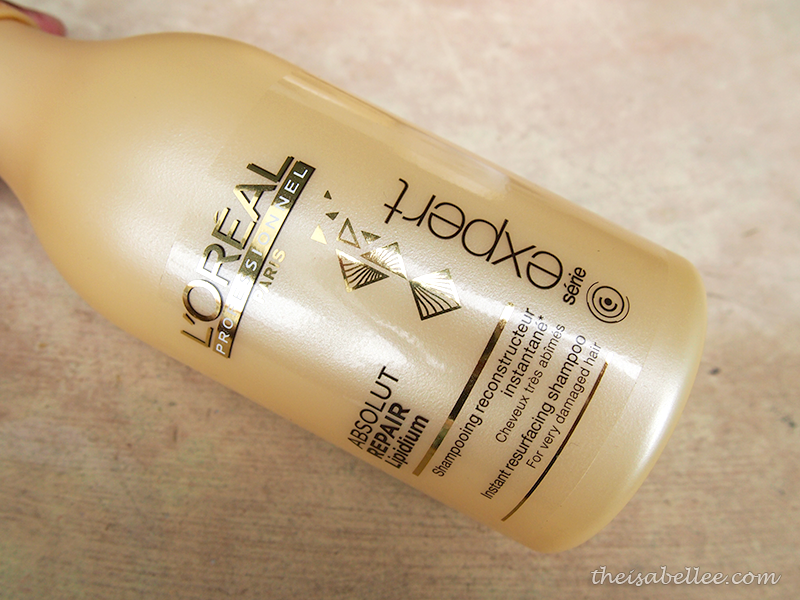 I've used several hair masks by L'Oreal previously but this is one of the thickest! It's almost waxy and I only need a bit. 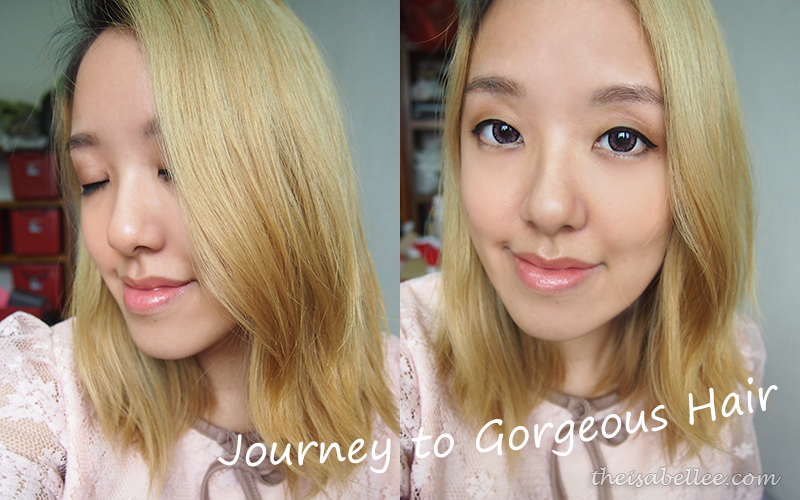 My hair feels ultra soft after each hair wash~~ Love! If I had to choose only one of these products, the masque is my definite choice! Next up, serum! Enriched with Lipidium, oils and Ceramides, it provides heat protection and seals the look of split ends. For my hair length, I need about 1-2 pumps. Can be used before or after blow drying. 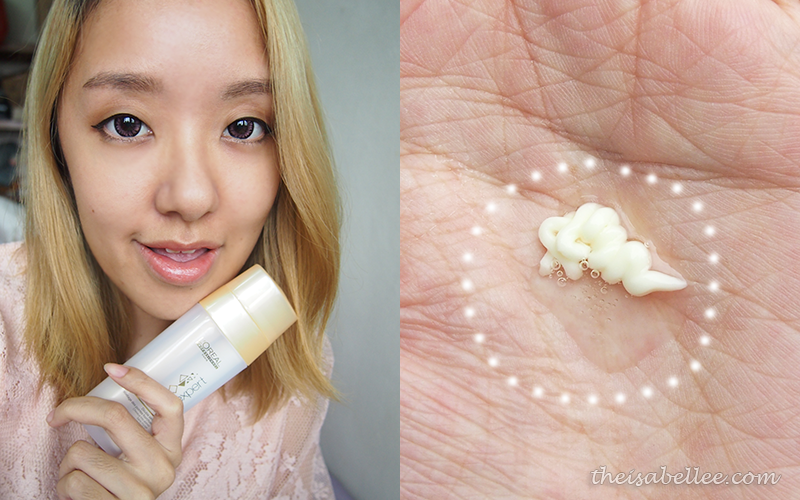 I scrunched my hair while applying the serum to bring out my natural waves. 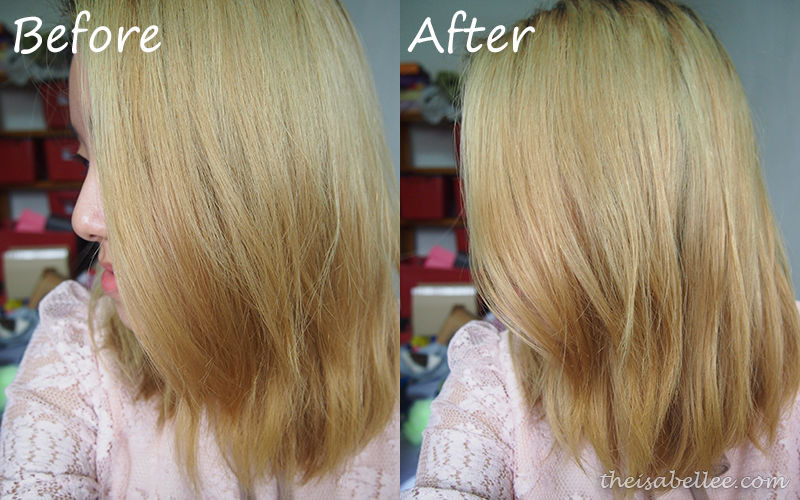 It makes my hair look healthier, shinier and more lively. Best part? It doesn't give me that icky oily/wet hair look nor weigh it down. Not bad, eh? 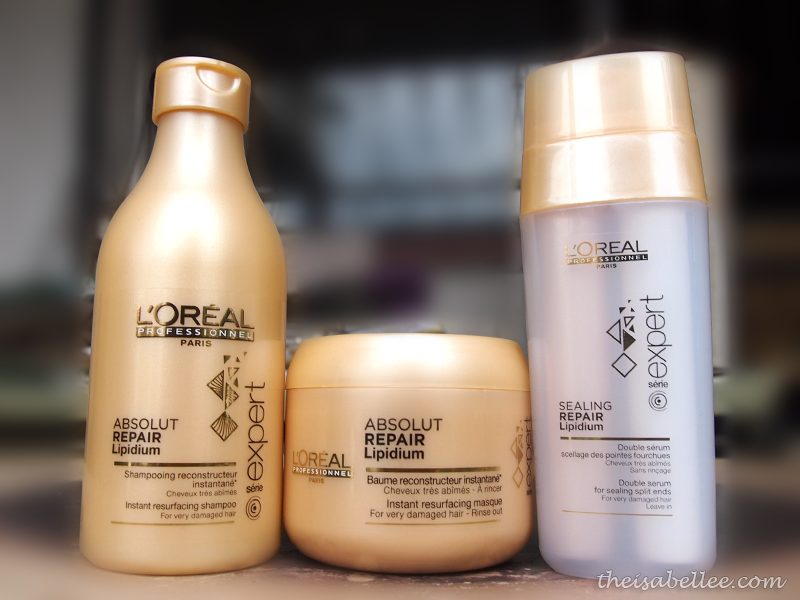 I do like how my hair looks with this range and the masque is awesome~~ The only problem is I can't decide if I hate or like the scent.. At first I thought it had a hint of mandarin oranges but then it was muddled with a floral scent and occasionally I am reminded of Indian spices =/ What's up, L'Oreal? wow loreal so well known, their product should be not bad too right!